Community Services – Byron Twp Fire Dept. Every home in Byron Township should have working smoke and CO detectors. 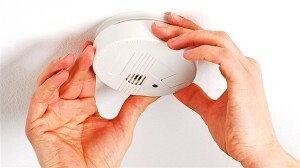 Homes should have 1 smoke detector on each level of your home. PLUS there should be 1 in every sleeping area (bedroom). Homes should have 1 CO detector on each level of your home. If any are more than 10 years old, they should be replaced. If your home doesn’t, we can provide FREE smoke detectors and will install them for you. Home must be owner-occupied, rental homes do not qualify. We only provide 10 year lithium battery detectors. If your detectors are hardwired, you’ll need to purchase those on your own. Call us or fill out the form below for more information. 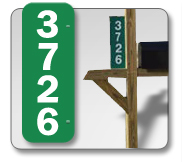 911 Reflective Address Signs help emergency responders quickly locate your home. We signs available for purchase for $20 each. 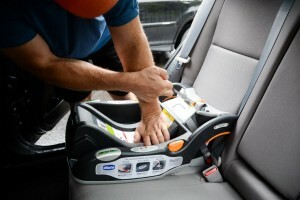 We have Certified Child Seat Technicians available to assist you with ensuring that your child is safely secured in your vehicle. For more information, or to make an appointment, call us, or fill out the form below. This dog was found wandering around the Byron Twp Fire Station on 84th St. If you recognize or know it's owner please contact the Station @ 878-9174. He had a collar on but no tags and according to South Kent Vet, he doesn't have a chip. Byron Township Fire Department shared a post. Are you ready for the time change Saturday night before you go to bed? Here's something you can do to keep everyone in your home safe from.fire! #FireIsEveryonesFight. #SafetyForYou6. This afternoon, Byron Township Fire Dept was called in to attempt a canine water rescue and we're happy to say that we were successful in rescuing 2 labs from the ice. Rescue 48 responded to the call and arrived on scene to find a black lab and a yellow lab swimming around a hole in the ice and staying surprisingly calm. They were unable to climb out on their own, so with the help of a ice rescue suit we entered the water and we're able to successfully remove them from the ice cold water.